Another week, another dragon-type Pokemon heading up the Pokemon Go Raid bosses list. 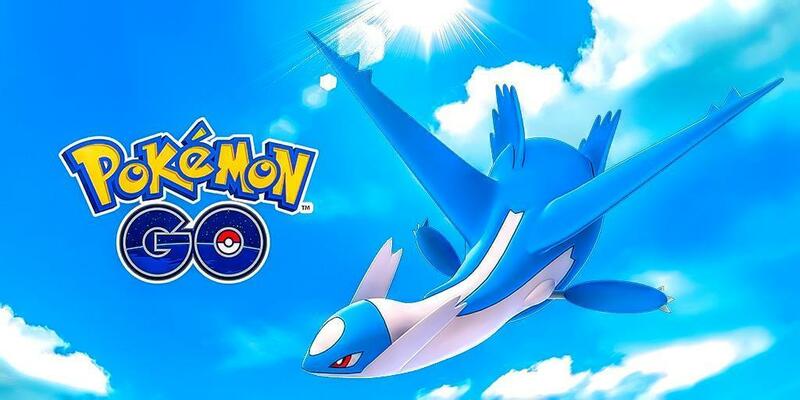 Defeating Pokemon in Raids gives you the opportunity to catch them, of course – and in the case of Latios, there’s even a chance that an ultra rare shiny Latios might spawn, making raids all the more worth attempting. An important part of any high-end Pokemon battle, be that versus another trainer, a gym or especially a raid situation is to know your counters. Pokemon Counters are based on a few factors including the best Pokemon tier lists that determine which Pokemon are the best overall in the game, Pokemon Type strengths and weaknesses and of course Pokemon movesets. Before we get to the raid counter list, which is broken into three tiers (S, A and B), let’s just talk about what in general is the best. As a dragon type, Latios is weak to other dragons, and all of the top tier of counters are dragon-type Pokemon with high damage output and dragon-type moves. A lot of them are legendary, but there are non-legendary options in the form of Dragonite, Salamence and others. These are hands-down your best bet. Beyond that, there are a few other options: Gengar is a great option thanks to its ghost-type, another Latios weakness. Ice also works well, and Mamoswine is the best ice-type in the game – something that also helps Weavile, who has a mix of ice and dark type moves. 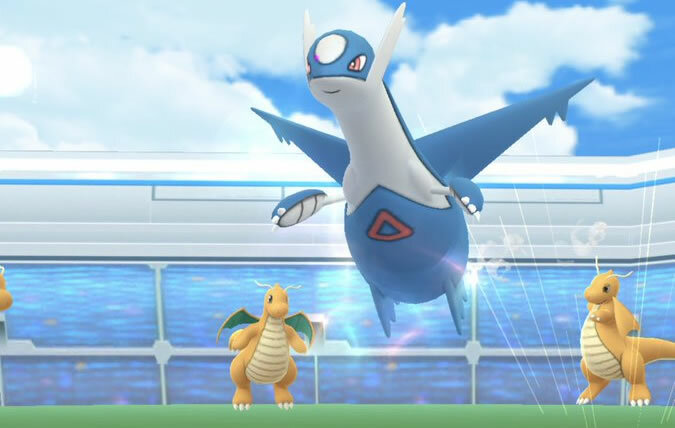 Dark-type Pokemon will work as a Latios counter, but expect victory to take a lot longer, or in smaller groups expect to be battling the clock as much as Latios itself with these sorts of Pokemon. Latios has 52220 Raid Boss CP. Latios is Dragon & Psychic-type. That means its weak to Dragon, Ice, Dark, Fairy, Ghost and Bug-type Pokemon and moves. 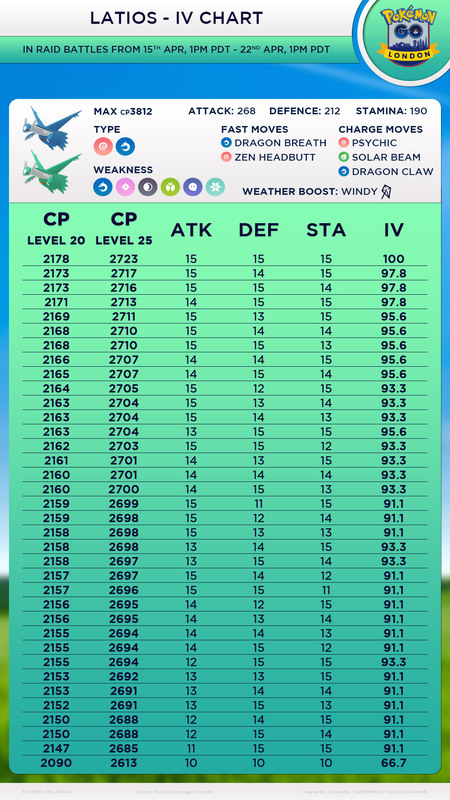 When captured, its maximum CP will be 2178 CP, or 2723 CP with a Windy weather boost. Like all Pokemon, Latios has a range of different moves it can learn. For our money, the best moveset is Dragon Breath (fast) and Dragon Claw (charged), as these two will make it a decent counter for dragon-types – and many raids, like this one, are dragon-focused. Shiny Latios is available from raids – you just have to hope the random chance gods look favorably upon you. As always, which moves you get are random, but you can teach new moves using TMs or Stardust to get the desired best moveset if you want to battle with Latios. As always with Pokemon events of this nature, you’ll want to look out for the best possible IV for your Pokemon – the value that determines how strong your Pokemon will grow to be over time. You can use your CP to determine this – certain CP values will indicate you have a Latios that is 100% in its IV, or close to it. A 100% score indicates a ‘perfect’ Pokemon for battling.